Remember back in 1979, long before Nintendo's GameBoy. 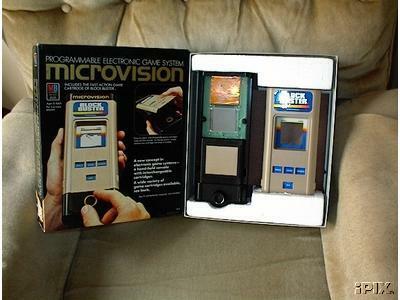 There was a handheld game unit made by Milton-Bradley called Microvision. Microvision was long before its time. Using a LCD block-type screen , it had great game play and good games. We use our Microvision often. Now here is a chance to get one of the first generation's most sought after game units. Microvision is becoming quite scarce these days. We have a few used and tested units and games for sale on here on Orphan Video Games ! These Microvision units are used but come with original boxes and been tested. LIMITED SUPPLY ! These game cartridge come in their original boxes and are used. They tested well and are in Very Limited Supply ! !